Leading geothermal technology and project developer Ormat Technologies has secured an agreement with TCW Global Project Fund II that will provide the company with up to $42 million to refinance its investment in the 20-megawatt Lake Amatitlan geothermal power plant in Guatemala. Ormat originally financed the project from its own coffers. The May 21 closing of the Note Purchase Agreement and payment of the proceeds to Ormat’s Guatemalan Ortitlan Limitada subsidiary replenishes those outlays while providing the TCW fund with a regularly recurring flow of interest income and repayment of the original principal. The note is scheduled to mature on June 15, 2016. “Guatemala in general, and the Amatitlan resource in particular, have potential for additional geothermal energy production. The terms of the financing that we have secured are typical non-recourse project finance, but enable us to proceed with the development of Phase II expansion of the project in coordination with TCW once we determine that the resource can support it,” Ormat CEO Dita Bronicki commented in a news release. As previously reported here on GWIR, the plant was commissioned in 2004 and is expected to produce clean, renewable power for 20 years, resulting in some 83,000 less metric tons of carbon dioxide emissions that would have otherwise fouled Guatemala’s air, land and waters if fossil fuel power had been used. An additional well that may be able to boost the plant’s output to its full 20 MW design spec is currently being evaluated. It may eventually be scaled up to as much as 50 MW, electricity that’s being sold to the Institutio Nacional de Electrificatio, the Guatemalan electric utility, as per the terms of a long term power purchase agreement. 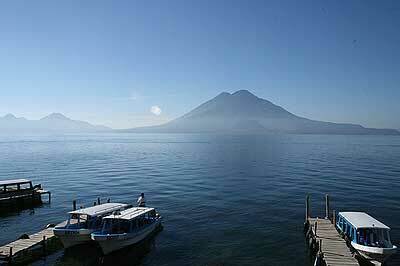 Your photo is of Lake Atitlan not Amatitlan, they are two very different places. Thanks Dennis. I’ll look for an appropriate photo. This article makes it sound like the political reality surrounding this project is all completely above board and that there are no negatives. What about mentioning that a significant number of the indigenous people in the area are against this project. Also, if I am not mistaken, this is a World Heritage Site. Just because a project is not fossil fuel does not mean that it is good. As of this moment, the local opposition is growing and becoming more organized. Without including the local population into the decision making process, this is just another paternalistic, corporatist, for profit venture, no matter how “green” it might be. Also disturbing is the statement that, ” As previously reported here on GWIR, the plant was commissioned in 2004 and is expected to produce clean, renewable power for 20 years.” 20 years seems like a very short lifespan for this much technological intrusion. The aesthetic values of this project do not seem to have been considered. I understand the reality of global warming. This is one project that on the surface seems a no-brainer. But that’s the problem. If you would like I can put you in contact with someone who has an understanding of the position against. Thanks for your comment. I’d be happy to follow up on this with your contact. Please let me know either through this comment thread or contact me directly from our contact page.